(07 November 2016) – The Global Ecovillage Network (GEN) is looking for articles or reports to feed its COP22 web section. GEN is currently working on the GEN web section for COP22. It will include a new section called something like “Climate/Ecovillage Documents and Reports” which will include a variety of types of articles and reports etc. 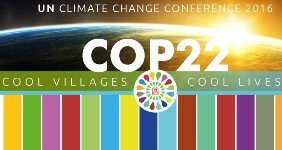 that address climate, an ecovillage approach to development, or intergovernmental reports that are of interest or importance re ecovillage development. If you have articles or reports or know of any that you think ought to be posted, especially concerning your work as it relates to climate change, would you please send them to Rob Wheeler (*protected email*) along with a short succinct paragraph as to what the report, article or even book is about. article if you have one. If you want to look at the old section to see what is already posted there you can go to ecovillage.org/node/5998.